Patricia Tenney is the founder of MidWest Financial Mortgage Services, established in 1981. Pat is the 1,963rd mortgage broker to obtain her license in Arizona. Since that time, there has been nearly 1 million licenses issued and currently less than 400 remain active. 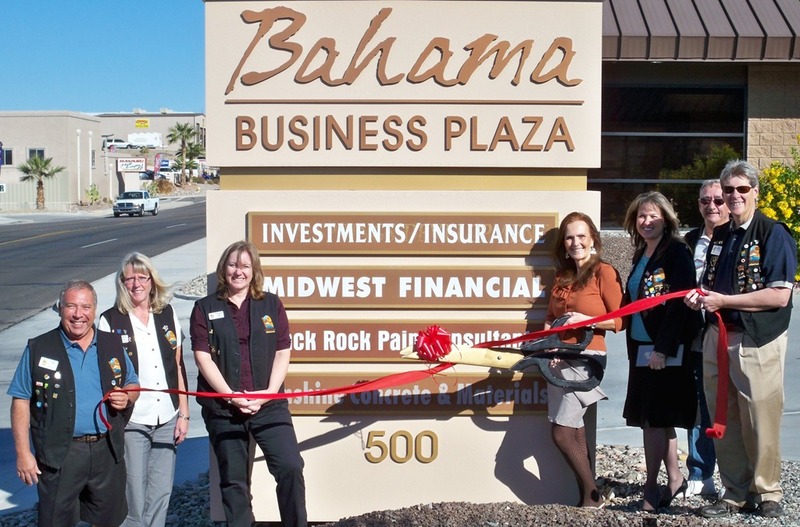 As a member of the Lake Havasu Area Chamber of Commerce for the last 25 years she feels that in supporting her local Chamber of Commerce, it has helped her business succeed. MidWest Financial Mortgage Services is ready to meet the needs of mortgage loan customers in Lake Havasu City and throughout the State of Arizona. On hand for the ribbon cutting from left to right are; Chamber Ambassadors, Tom Otero, Audrey Hoyt, Jeanette Luhr, MidWest Financial Mortgage Services President, Patricia Tenney, Chamber Ambassadors, Amy Sugamele, Paul Hoyt and Rick Broker. For a free 30 minute consultation call 928-855-0809 or 800-525-9426.